It doesn’t really matter if you are looking for a new bean bag or to replace the old worn out mattress, because, at the furniture lane of Adugodi, the options are plenty and quite pocket-friendly too. Here’s our pick of a few places from that lane where you can score some neat furniture without having to break the bank. Like the name says, these guys deal mainly with steel almirahs of varying sizes. Available from as low as INR 4,000, these almirahs come in the usual green, black and brown colour schemes. Apart from the almirahs, they also sell plastic chairs, wooden furniture such as cabinets, computer tables, coffee tables, shelves, stools, and stands. The prices range for these products are between INR 1,500 and INR 5,000, but luckily bargaining is welcome here to a certain extent. Home delivery is available for a small fee. 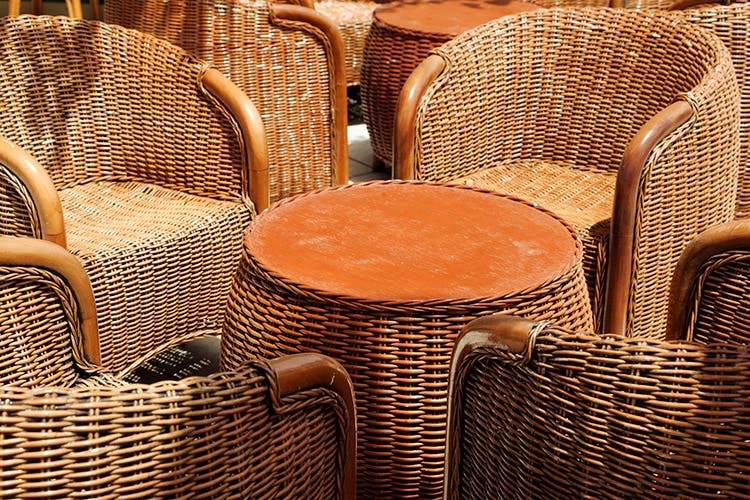 Cane furniture is always cheap and you can get everything from a simple stool to a three-seater sofa at most cane furniture shops. This shop in Adugodi is no less with its collection of chairs, stools, swings, sofa sets, coffee tables, and stands. The price starts from as low as INR 500 for a small stool and can go up to INR 10,000 for a three-seater sofa. While these guys are a bit sceptical about window shopping, they are willing to drop the price, should you find something fancy. This place only deals with bedding and related items, and it’s perfect for people who are looking for a new mattress or a makeshift floor couch. The best thing about the store is that you can get the bedding customised according to size without extra charges. The bedding prices start from INR 500. Oh, do note that the shop deals with cotton-stuffed bedding mainly and they do not sell branded mattresses. While this store is a bit off the Adugodi main road, this is one of the places that most PG students and renters around that area go to for buying furniture. Everything from a folding table to a 4-level bookshelf is available here so are almirahs, mirrors, and plastic furniture like stools and tables. They also sell a few cotton-stuffed mattresses as well as branded mattresses. These guys do home delivery for a small fee. Another cane shop that lets you score furniture for cheap. The designs here are fancy and hence a bit pricey, but hey, if you can totally turn a blind eye towards those fancy designs and settle for something simple, then the chances are you won’t be spending more than INR 2,000 for a stool and a coffee table. They also have a nice selection of wooden shoe racks and shelves for books that are priced between INR 1,500 and INR 3,000. Now, this shop is perfect for any one who’s looking to get rid of old furniture at their place. While the prices have to be negotiated tooth and nail at times, imagine finally getting rid of that old sofa set you have at home. Relieving, right? You can also buy furniture from here like tables, computer tables, mattresses, sofas, couches, plush arm chairs, shelves, shoe racks, and the likes.